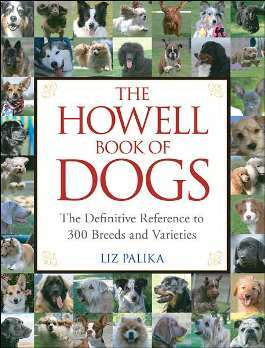 Vizcaya Vizslas is PROUD to announce the use of a photo of one of our Wirehaired Vizsla puppies on the front cover of the Howell Book of Dogs! Pam Uribarri's young wire male, Vizcaya's Liv'n Water Riverdance, 'Seamus' can be seen on the front cover at the bottom right corner, 3 photos to the left. 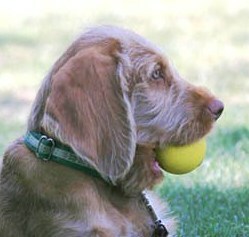 Seamus is holding a yellow ball in his mouth and is just 3 months old in the picture. You can order the book by going to it's link at Amazon.com, where it is the cheapest we can find. 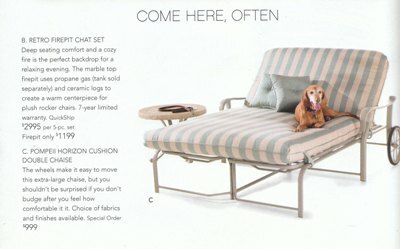 The inside article on the Wirehaired Vizsla has a full picture of 'Seamus' laying in green grass! and bringing our attention to this true honor! one of their pieces of furniture! this ad allowing her to be a doggy diva!! 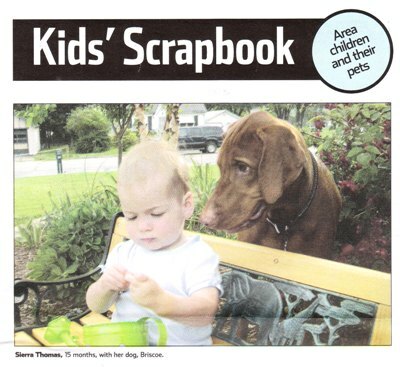 their kids were in the paper, but Briscoe stood out to us! of your paper and letting us be proud too!! an impression in the show ring - we are working hard to change that and seem to be doing a good job!